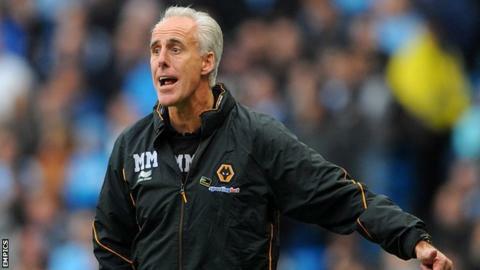 Former Wolves and Republic of Ireland boss Mick McCarthy is expected to be named as the new manager of Ipswich this week, BBC Suffolk reports. McCarthy, 53, who was sacked as Wolves boss in February, is understood to have agreed a three-year contract. Former Ipswich midfielder Matt Holland, who played under McCarthy for the Republic, has been linked to a role as his assistant at Portman Road. Ex-Wolves manager Terry Connor is expected to become first-team coach. McCarthy is likely to take charge before Ipswich's Championship match at Birmingham on Saturday. After five and a half years as Wolves manager, Barnsley-born following a run of one win in 13. The former Manchester City and Celtic defender started his managerial career at Millwall and, after four years at the Den, he left to take the Ireland job in 1996. McCarthy, a Republic international during his playing career, led the national side to the second round of the 2002 World Cup finals, but was embroiled in a public dispute with then midfielder and former Town boss Roy Keane. He has led all of the three clubs he has managed to the Championship play-offs and won promotion as champions with Sunderland and Wolves. Connor, McCarthy's assistant at Wolves, replaced him at the helm but following the club's relegation to the Championship reverted to the role of assistant when Norwegian Stale Solbakken arrived in the close season. The 49-year-old, who joined the Molineux coaching staff in 1999, was sacked in September. Holland, who made 321 appearances during six years at Portman Road, currently works as a media pundit. Alan Curbishley, who counts Charlton and West Ham as his former clubs, and ex-Newcastle manager Alan Shearer had also been linked with the role. with the club bottom of the Championship. His assistant Chris Hutchings took charge of Saturday's 3-0 defeat by Sheffield Wednesday - Town's fourth straight loss and 12th game without a win.